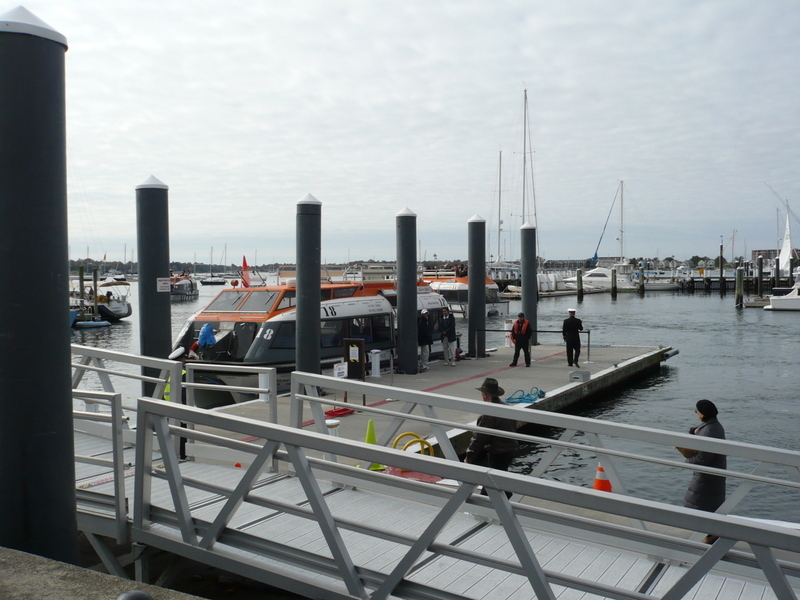 The Safety Boats served as tenders for our arrival in Newport. We toured the town on the local bus and marveled at all the beautiful mansions. Newport is a beautiful city. 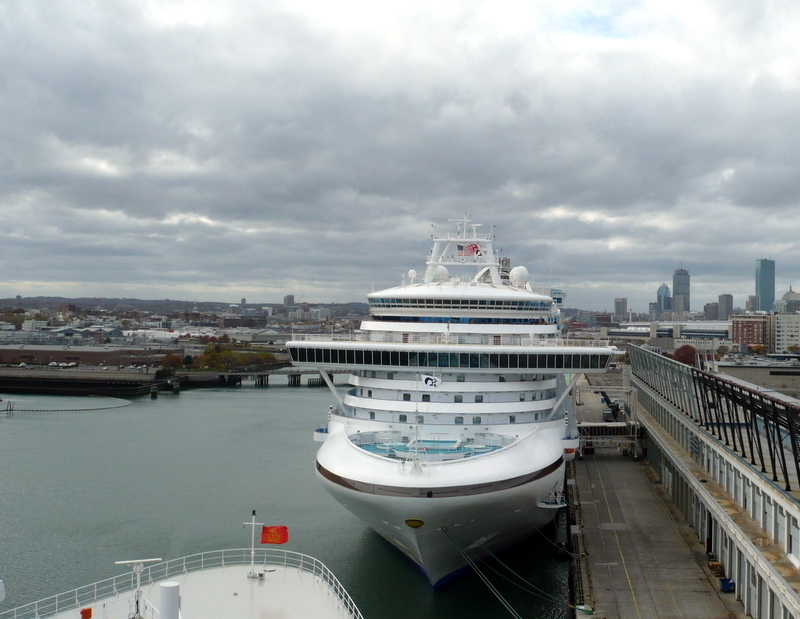 Day 3 – We dock in Boston on October 31. Many of our shipmates are heading to Salem for some ghostly adventure. 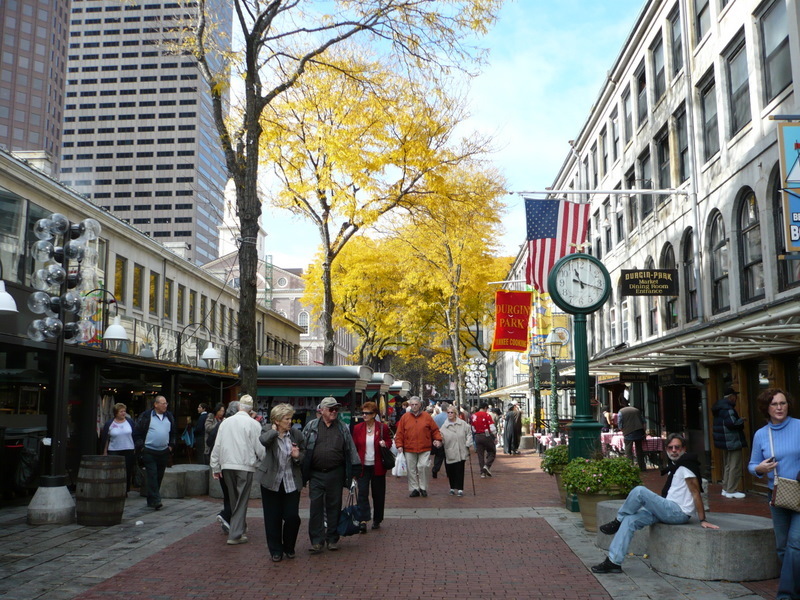 We settled for a walk through Quincy Market. It was very windy. Our ship docked nose to nose with the Island Princess cruise ship. Of course the Queen Mary 2 is an oceanliner. I think the difference is the engines. Both ships are huge. The Island Princess left the dock before we did and both ships gave the customary 3 blasts on the horn. It was very loud. Passengers came out on deck and balconies to wave at each other. There must have been only 100 feet between the two ships and three tugs were working very hard to guide the Princess out to the harbor. 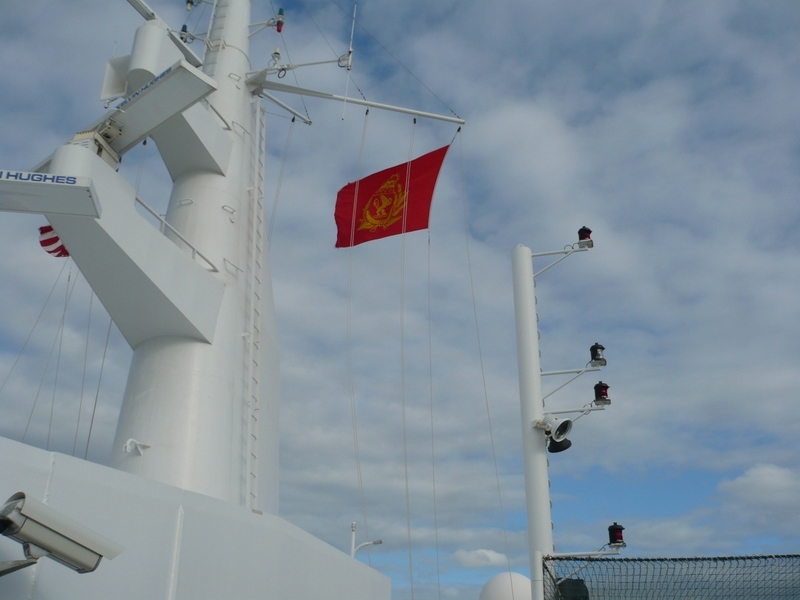 This entry was posted in Travel and tagged cruise, Cunard, New England Fall Colour Tour, Queen Mary 2.